ATOMOS has redefined what monitors and recorders can do by merging what was a separate feature set for Recording, Playback, Monitoring & Editing into a single device that makes every camera a professional camera. Every camera records, however, the internal recording often isn’t suitable in professional applications. ATOMOS products help overcome many of the limitations professionals face with their cameras. With innovative products, industry changing ProRes and ProRes RAW support on key models and the upcoming DSLR oriented Ninja V, ATOMOS has you covered. Atomos partner with editing software brands like Apple, Adobe & AVID to create add-on camera touchscreens for Canon, Sony, Panasonic, Nikon, Arri, JVC & Red to improve quality, cut production costs and save time in the end-to end workflow. After lengthy testing and remanufacturing of the driver, it finally became possible to achieve the purest sound equalling the sound of the original 5C Super Sound Cube. All components of the driver are made of the highest quality materials in the United States. The cabinet is built with black laminate and quality craftsmanship. The 5C, which became famous in the 1970’s and 80’s and has been used in virtually every major recording studio worldwide, is still the undisputed industry standard for “real world” referencing in the recording studio. 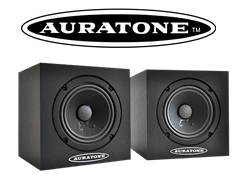 Durability, flat full-range response, amazing power handling and portability have made AURATONES the Recording, Broadcasting, and Motion Picture industries favorite “mixdown monitors.” . 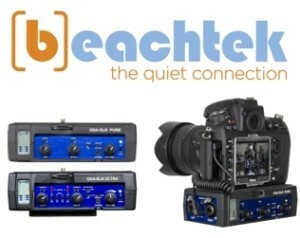 . . for comparison and final mixes, auditioning, remotes, and reference standard speakers. U.S.A. – A cutting edge designer and manufacturer of professional studio and surround active monitoring loudspeaker systems. Blue Sky offers totally integrated systems for both 2.1 and 5.1 applications. These extraordinary speaker systems are sold as ensembles that include the subwoofer and are designed from the ground up for extremely accurate sound reproduction and extended frequency range with today’s musical and film production realities in mind. Receiving rave reviews since their launch, Blue Sky systems are fast becoming the number one choice for professionals including Lucas Films who have outfitted their California THX studio facilities at Skywalker Sound with Blue Sky monitoring systems. 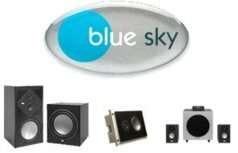 Blue Sky now offers an entire family of monitoring systems in a variety of sizes to meet most requirements from a compact desktop system ideal for computer editing systems up to a large 4 way system designed for very large production and post production rooms. ENGLAND – A unique and patented flexible contact microphone product designed for use in sound reinforcement and recording of acoustic musical instruments. Available in “strips” (tapes) of 3” and 8”, this capacitive transducer system installs on the resonating soundboard of most instruments and “hears” the mechanical vibration emanating from the surface. Widely used in sound reinforcement because of its low feedback, C-Ducer is particularly well known for its stereo piano system and its acoustic guitar system. AUSTRALIA. 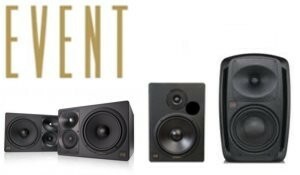 – Event has been designing professional studio monitors since 1994 and has won numerous prestigious industry awards for quality, performance and unequalled value for money. From the legendary 20/20 BAS which built the company to the recent Studio Precision Series, Event monitors are used by thousands of musicians and recording engineers that rely on the accuracy of the Event sound. In 2006, RODE Microphones purchased and restructured Event and put it’s immense R&D recourses to work on an astonishing and revolutionary new product that redefines near field monitoring, the Event OPAL. OPAL has created a shockwave in the industry and has rapidly become the most significant and successful Event product to date. UK. – Funktion-One represents an unrivalled pool of experience and expertise in the audio industry having been consistent innovators in loudspeaker design, concert touring and sound installation for over 30 years. 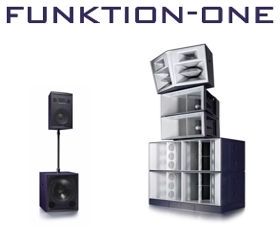 Funktion-One’s patented, renowned and award winning systems are used around the world in demanding audio applications which prioritize sound quality and can be seen and heard in some of the world’s most impressive and prestigious venues and night clubs. For three decades Tony Andrews, one of the founding partners has dedicated his career to achieving the best possible audio quality in small to medium size as well as large scale sound reinforcement systems. Tony together with co-founder John Newsham, are highly regarded designers and manufacturers of high quality point source loudspeakers, their principle motivating factor having always been sonic accuracy. Funktion-One’s technological approach avoids the use of both system EQ (with its inherent phase and headroom problems) and compression driver mid-range (with its inherent harshness and distortion). Furthermore, Funktion-One loudspeaker systems have excellent directional control allowing sound to be focused where it’s needed and minimizing out-of-venue environmental impact. 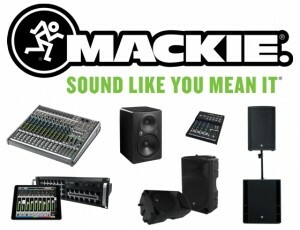 Mackie, a LOUD Audio, LLC brand, is known worldwide as a leading developer and marketer of high-quality, affordable professional audio systems. Mackie products can be found in professional and project recording studios, video and broadcast suites, post production facilities, sound reinforcement applications including churches and nightclubs, retail locations and on major musical tours. With ADI now handling Canadian distribution, the Canadian market will benefit from local inventory, quick shipments and stable Canadian pricing. ENGLAND. 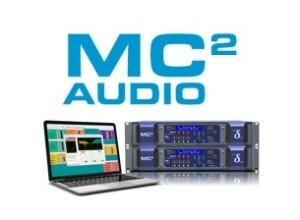 – MC2 Audio is a renowned manufacturer of ultra-high fidelity pro audio amplifiers, which have gained a worldwide reputation for reliability and sonic performance of the highest calibre. 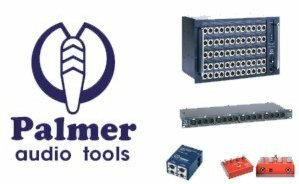 MC2 offers a wide range of amplifier products ranging from installation amplifiers to lightweight touring amplifiers with switch mode power supplies. The new DELTA series also features touring grade amplifiers with built in DSP and optional DANTE networking capabilities. 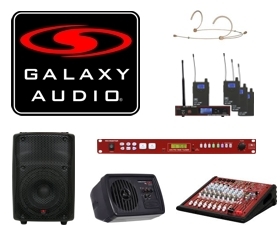 All MC2 Audio products are covered by a 5-year warranty. AUSTRALIA – The undeniable pioneer of the microphone revolution. For over 20 years now, RØDE Microphones has been led by Peter Freedman, a visionary that has designed and created manufacturing techniques that make it possible for RØDE to produce premium professional quality microphones at a fraction of the price of the competition. RØDE has won countless major awards for innovation and technical excellence, often more than once. 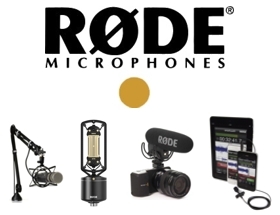 Although RODE was originally most recognized for its large diaphragm studio condenser microphones, RØDE has broadened their product offering over the past 10 years and has since become the leading manufacturer of broadcast and film microphones. The VideoMic range, NTG shotguns and digital RØDElink wireless systems have quickly become the go to microphone solution for videographers, broadcasters as well as filmmakers. 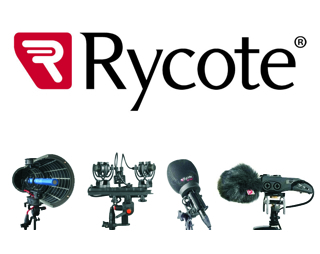 RØDE microphones are world renowned for their excellence in performance, aesthetics and value. Today, RØDE microphones are used by nearly every recording studio and film production on the planet and are one of the most “heard” microphones on recordings everywhere. Vero is a complete system – featuring loudspeakers, amplification, rigging and software – that combines outstanding sonic performance and ease of use. Its arrayable format means it is designed for the ergonomic expectations of modern touring environments, yet its audio quality and efficiency is unprecedented. Vero is a new type of system that comes from a new approach to tour sound.